is a project manager and trouble shooter. He has more than 30 years of working experience in multi disciplinary environments. Philip has extensive working experience in the finance industry. Philip was the Project Director of the Singapore’s Fast and Secure (FAST) Payment System. FAST is the near immediate payment system which provides funds to receivers within 5 minutes of executing transfer. Prior to that he was the Project Director for the MAS large value payment system replacement project. This project saw the RTGS system replaced by a fully SWIFT compliant payment engine that also provides functionalities for Singapore Government Securities transactions and maintaining all the banks current accounts with the central bank. He was also project manager in the setting up of the BCSIS service bureau. The bureau was set up to provide outsourcing service to banks to clear their cheques in the then new cheque truncation system (CTS) environment. Both of these projects, which involved multiple participants and managing new technology processes, were implemented successfully. Philip was the country site manager for Perot Systems. He was in charge of the Perot team providing IT infrastructure support service for UBS after the merger with Swiss Bank Corp. He also played a key role in the merger exercise of the technical infrastructure teams. Prior to this he was the regional telecommunication manager for UBS East Asia. Philip started his career with Singapore Telecoms and the subsidiary, Telecom Equipment for 14 years. In Singapore Telecoms, he was a radar engineer leading a technical crew responsible for the uptime of the Air Traffic Control radars in Singapore Changi Airport. In Telecom Equipment, Philip was the operations manager for the team responsible for the maintenance of the customers’ premises equipment comprising PABXs, KTS and Video Conference equipment. 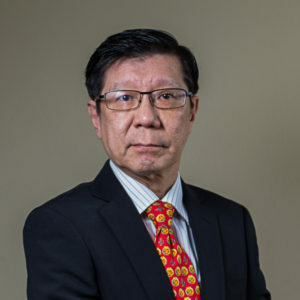 Philip graduated from the Singapore Polytechnic in 1976 and later, under the Telecoms Study Award program, read Engineering in the NUS, graduating with a degree in Electrical Engineering in 1984. He is also active in the social circle, serving as a board member of the local church and a council member in a tertiary institution society.